Women have been writing science fiction and fantasy for centuries, demolishing barriers in historically male-dominated genres. And in honor of International Women’s Day, we’re celebrating contemporary authors who are continuing to blaze trails in SFF literature. Paste asked four Harper Voyager authors to write about the women who inspire them and to offer SFF book recommendations. Whether you’ve been reading fantasy for years or have never picked up a sci-fi novel in your life, we encourage you to seek out these diverse books for your shelves. Today is the perfect time to begin. Even so, we’re watching an unprecedented number of incredible female writers defying those stereotypes. For instance, I’m not the first Asian woman in the genre by a long shot. I have Hao Jingfang, Aliette de Bodard, Zen Cho, Alyssa Wong, Jeannette Ng, and Sarah Kuhn to look up to. It’s very, very cool to not be the first. Kuang’s Book Recommendations: “Folding Beijing” (short story) by Hao Jingfang, Jade City by Fonda Lee, and The House of Shattered Wings by Aliette de Bodard. Durst’s Book Recommendations: Tempests and Slaughter by Tamora Pierce and The Brightest Fell by Seanan McGuire. 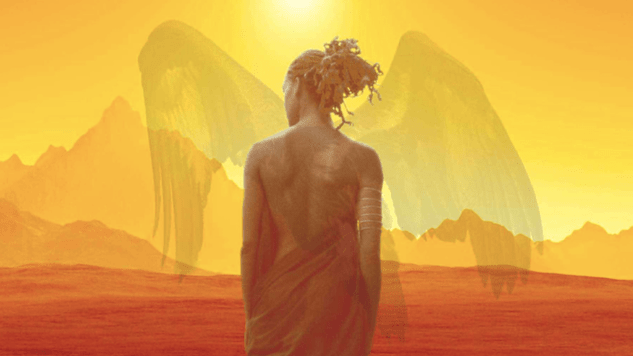 It’s an exciting time to be a woman in SFF, especially a woman of color. Because you know what? I am no longer an aberration. Starting with the ground-breaking Octavia Butler, we now have Nnedi Okorafor, N.K. Jemisin, Nalo Hopkinson, Sofia Samatar, Fonda Lee, and so many more amazing, determined, and talented women who have forged a path for all of us in the traditionally thorny and white-male-dominated jungles of SFF publishing. I am so utterly grateful to be writing at a time like this. Mehrotra’s Book Recommendations: Who Fears Death by Nnedi Okorafor and A Stranger in Olondria by Sofia Samatar. A story changes entirely when the narrator changes, and so does a genre. When I was growing up, there really weren’t many fantasy books with female protagonists, and I was honestly lukewarm to the genre. But when I was 13, I found Robin McKinley’s The Hero and the Crown and fell in love with fantasy ever after. It was the first book I’d read that featured a female protagonist who slew her own dragons. I was hooked. Bickle’s Book Recommendations: Forest of a Thousand Lanterns by Julie C. Dao and Pretty Deadly by Kelly Sue DeConnick and Emma Rios. Special thanks to Caroline Perny for coordinating this article.